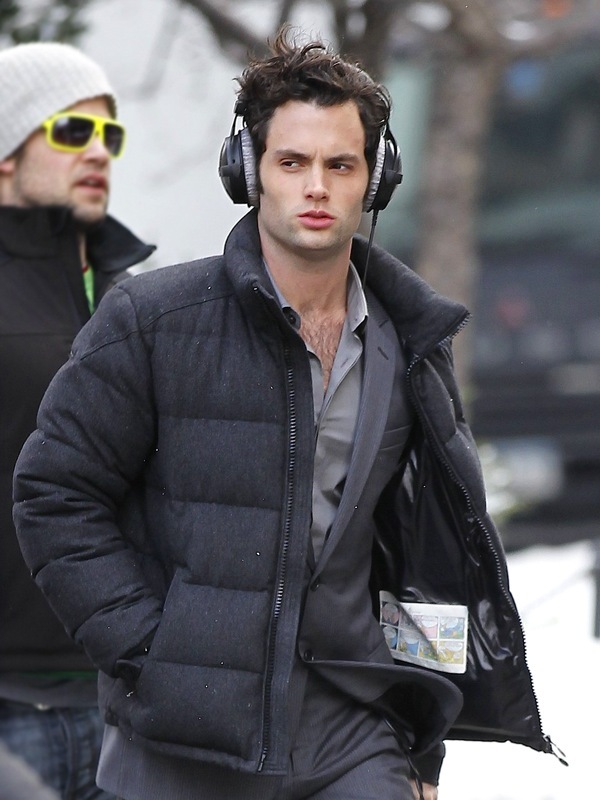 my favourite 'gossip girl' cast member (yes, not chace) was seen in snowy manhattan yesterday filming scenes for the hit tv series. power to the stylists for making drab grey looked so stylish by combining several shades together. i work in the financial district and it will be so refreshing to see someone having fun with everyday formal attrire. 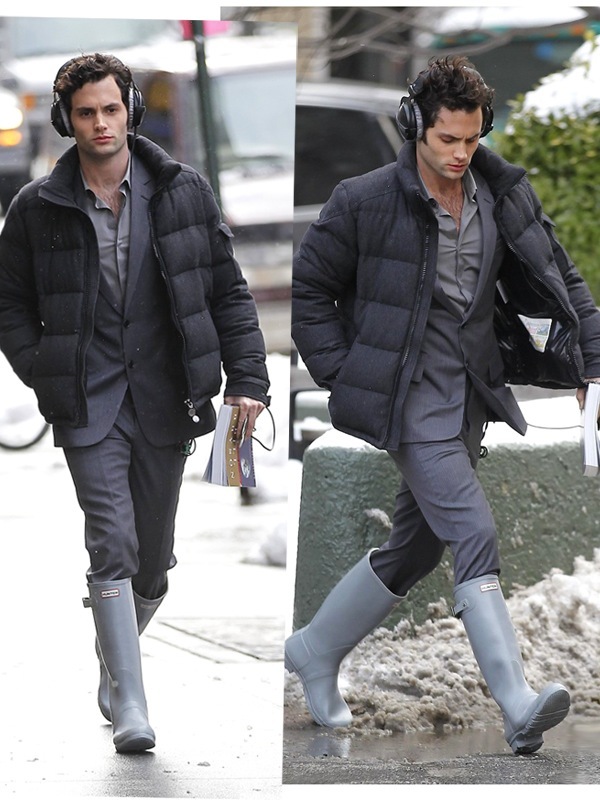 love love love the padded moncler jacket, and even more love to the pale grey hunter wellies. makes me want to rush out and get a pair now! great style, i wish i have the confidence and swagger to pull off a look like that. co-star blake lively was also seen at the filming dressed in a burberry prorsum coat. underneath that perfect pout is a comic strip attached to the lining of the jacket. serious?? 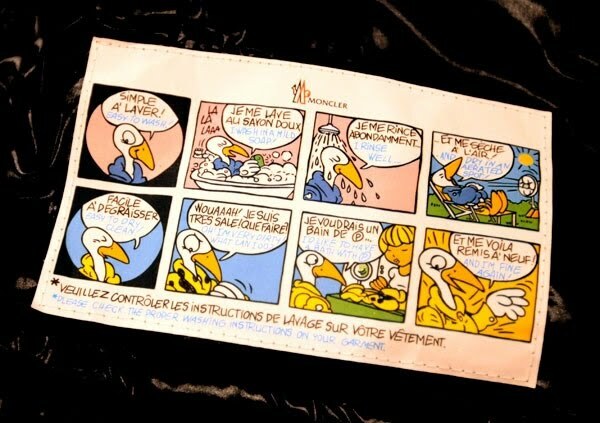 i've not examined a moncler jacket before, but apparently all their jackets come with the comic strip, which showed how to best care for the garment. totally fun and ingenuous! Suit + Hunter wellies.. not so bad! The outfit is matched beyond perfection. Matchy-matchy as it might be, it definitely works. Really need to start watching GG again. Moncler is so gross. Here in Italy every "fashionable" teen or pre-teen has got one. Glossy, puffy and SO ugly! I hate them, I hate them so much! Headphoned douche trying too hard.